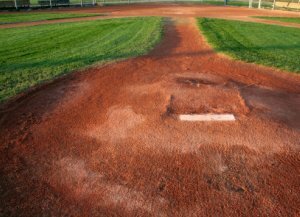 Sometime during the next two years you will probably be playing baseball at the 60/90 distances (pitching mound 60 feet 6 inches and bases 90 feet apart). Different parts of the country change to the 60/90 distance at different ages. 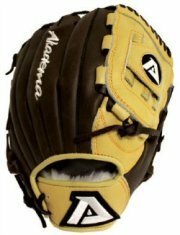 Some organizations, like USSSA, offer you the choice of 60/90 or 54/80 at the age of 14. Our baseball drills for 13 and 14 year olds can be used for teams that play at either distance. My thought on playing at 60/90 is the sooner you can play at that distance the better. In our part of the country 60/90 is only available for 14 year old major tournaments. That pretty much keeps 13 year old teams from playing at 60/90 unless they are very good. Even many 14 year old teams only play at the 54/80 distance for the whole year. In my mind those teams are doing their players a big injustice. I firmly believe every high school freshman should experience playing at 60/90 before trying out for his high school baseball team. School ball tryouts only last for a few days. Players have little time to adjust to the new distance and showcase their skills. Because of this, baseball drills for 13 and 14 year olds should include some practice at 60/90. So what am I suggesting? Coaches for 14 year old teams whose league and tournaments only offer 54/80, need to search out a season ending tournament, like a world series, that plays at 60/90. I would practice for at least three weeks prior to the tournament at that distance. And try to schedule some practice games at 60/90. You will be surprised at how many other 14 year old teams want to get some playing time at 60/90. And this strategy can also work for 13 year old teams. Like I stated before, the earlier you start playing at 60/90, the better for your players. I would also add that switching back and forth from 60/90 to 54/80, is probably not a good idea. I have no experience with a team that has switched back and forth, and I have never talked to a coach who has. Because once most teams make the switch they don’t go back. The same can be said for baseball drills for 13 and 14 year olds. Once you start practicing at 60/90, I would stay there. What is the big deal about playing at 60/90? Pitchers who are 14 years old can dominate a game at 54 or 56 feet. Hitters are put at a big disadvantage. Infielders now need stronger arms to make the throw across the diamond. Fences are moved back so outfielders need more speed to cover the extra ground. Let your players experience this and show them they need to train hard over the winter to have their body ready for 60/90. With all that in mind, baseball drills for 13 and 14 year olds need to include lots of infield and outfield throwing drills. The following three pages describe great drills for your infielders and outfielders,Infield and Outfield Drills, Relay Throws and the Cutoff Man, Infield Throwing and Double Plays. Unless you or one of your assistants is a pitching guru, you should try to locate a pitching coach for your pitchers. At 13 and 14 years old your pitchers need some pitching instructions. And this needs to be hands on instructions. It is easy for kids to learn the wrong arm motion to throw a cure ball. And if not corrected quickly this will hurt their arm beyond repair. 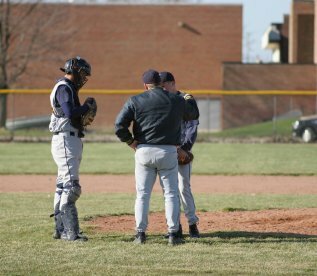 If you have trouble finding a pitching coach, talk to other coaches in your league or in an older league. And also talk to some high school baseball coaches. You will be surprised at how many pitching coaches there are walking around. Hitting is a little different story than pitching. While a professional hitting instructor would be great, he is not as needed as a pitching instructor. 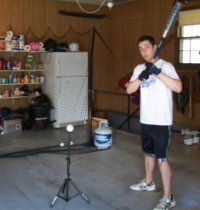 Once batters have the proper Batting Techniques down, then it is a matter of practice, practice and more practice. 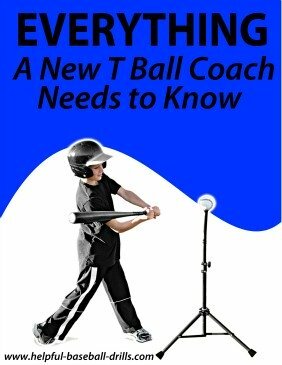 More Great Baseball Batting Drills is a page with good batting drills for 13 and 14 year olds. Be sure to check out these pages and keep the boys swinging. if you keep it fun and new. There are some drills you have to do over and over, like throwing bull pens. But whenever possible seek out new drills for your team. Kids this age love to learn new drills and they will pick them up fast. Get their input on which drills they enjoy most and be sure to offer them some Fun Baseball Drills.